We are Incredible Edibles Bakery. Centrally located between Charleston and Myrtle Beach, Incredible Edibles has been a mainstay in the wedding and special event scene in coastal South Carolina for more than 20 years. Our cakes have earned several awards, including The Knot's Best of Weddings 2018. 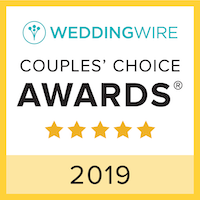 We've also been included in The Knot's Hall of Fame, and Wedding Wire's Bride's Choice Awards. You may recognize our work from local and regional bridal magazines. We've been featured in Charleston Weddings, Grand Strand magazine, Grand Strand Weddings, Weddings Unveiled, A Lowcountry Wedding, Southern Weddings, The Knot - The Carolinas, SCdestinationweddings.com and more. To schedule a consultation, place a catering order or ask another question you may contact us via phone (843-237-5040), email (myiecakes@gmail.com), or using the form below. Tuesday – Saturday, 8 a.m. – 6 p.m.